Beware, Amazon. You now have serious competition in the always-aware WiFi speaker game. It’s impossible to discuss Google Home in a vacuum. It’s a direct, blatant, so-obvious-it-hurts competitor to the Amazon Echo—and if you spend just a few minutes with it, you may come away feeling it’s got the Echo’s number. It even costs $50 less than Amazon’s product on Google’s pre-order page. Like the Echo, Google Home can start playing music with simple voice prompts. But it sounds better than the Echo, with much deeper bass. I only spent about 10 minutes with Google Home at Google’s hardware launch event on Tuesday, and I certainly didn’t have an Echo handy for A/B testing, but it took only five seconds of a Hooverphonic track to tell that Google Home delivers better low-end punch. On the flipside, Google Home didn’t sound particularly loud. It was difficult to tell given the din of the event, but this is definitely an issue we need to test. 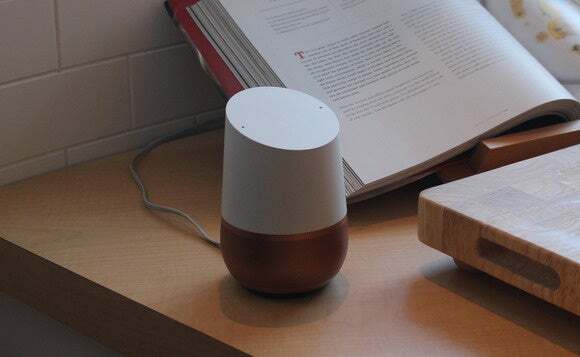 Like the Echo, Google Home can answer questions, tapping into a hidden database of knowledge. But where the Echo runs off Bing search, and is often stymied by tough queries, Google Home taps into the full Google knowledge graph and all its “featured snippets” extensions. In essence, Google Home is an always-aware iteration of the Google Assistant, and can handle a wide breadth of real-language queries. If you ask, “How old is Barack Obama?” followed by, “How tall is he?” Google Home will know “he” is referring to Obama. 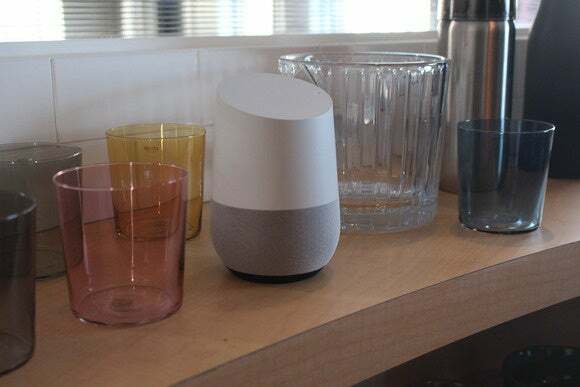 Google says the design for Google Home was inspired by glasses and candles. There’s only so much you can do with Google Home in a demo environment. 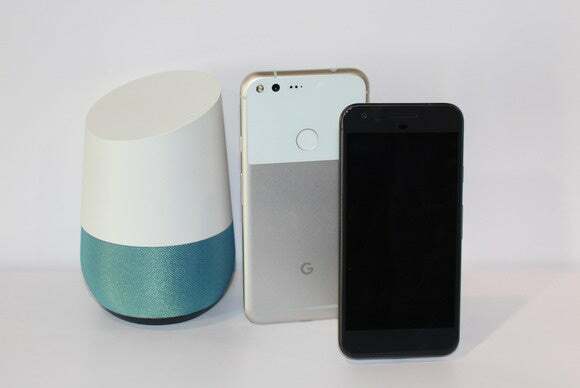 You really need the device connected to your Google account, a pairing that gives you meaningful information when you ask, “OK Google, what’s my day looking like?” Google Home will come back with local weather info, personalized commute details, calendar obligations, and reminders. And, of course, once you connect Google Home to your Google universe, the appliance will also plumb the depths of your Music collection and other Googley entry points. But one thing Google could demo was Google Home’s talents as a smart home hub. The device was connected to a Nest thermostat, and a voice prompt of “OK Google, lower the temperature to 70 degrees” went off without a hitch. Similarly, “Play Shakira on Chromecast” started a YouTube video playing on a nearby TV. About the same size as a Pixel phone, Google Home is short but delivers better base response than the Amazon Echo. As we’ve already pointed out, Amazon has a significant lead in third-party integration with various smart home platforms. Only time will tell if Google can catch up, but based on Tuesday’s reveal, Google Home’s prowess as a device control may be its only weak link. For now, Google Home will only interface with the Nest family of products, Chromecast, Philips Hue light bulbs, SmartThings products, and IFTTT. At $129, Google Home costs significantly less than the $179 Amazon Echo, and it looks better too. Google Home is small and unassuming, and looks far less gadgety than Amazon’s take on exactly the same concept. The device benefits from an asymmetrical design that’s vaguely Scandinavian in its visual cues. Currently, the only pre-order option is for a “white slate” color theme, but Google says various colored bases in metal and fabric will eventually be available. Google tells us our Google Home review unit should be arriving in the next couple weeks, so stand by for a full review—as well as a direct comparison to its natural competitor.